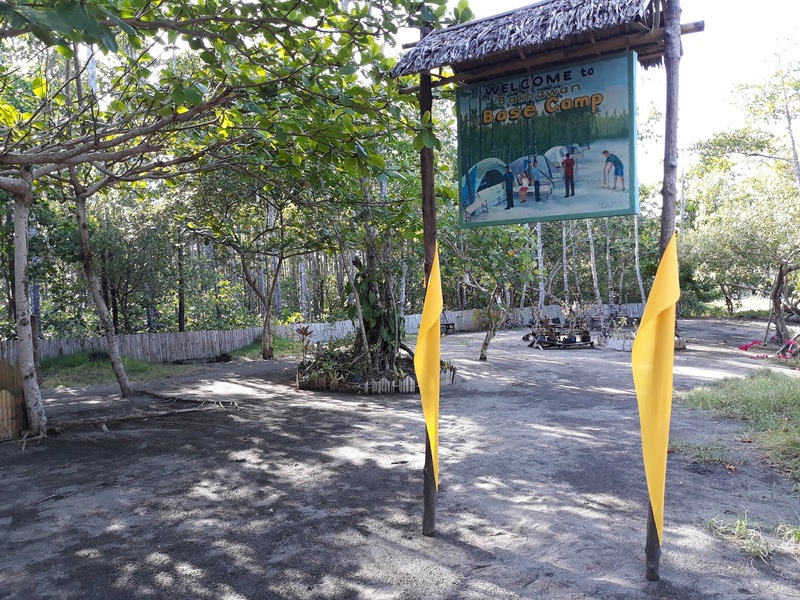 Aklan boasts of several tourist spots other than the powdery white sands and nightlife of Boracay (which as of writing, has been closed for rehabilition for six months). 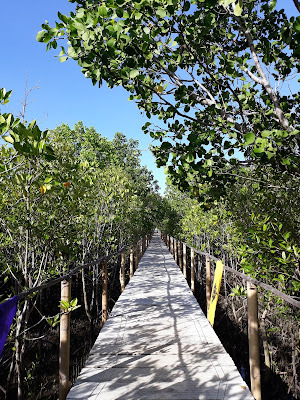 One of these is the Bakhawan Eco-Park, a 220-hectare mangrove forest in New Buswang, Kalibo, Aklan. 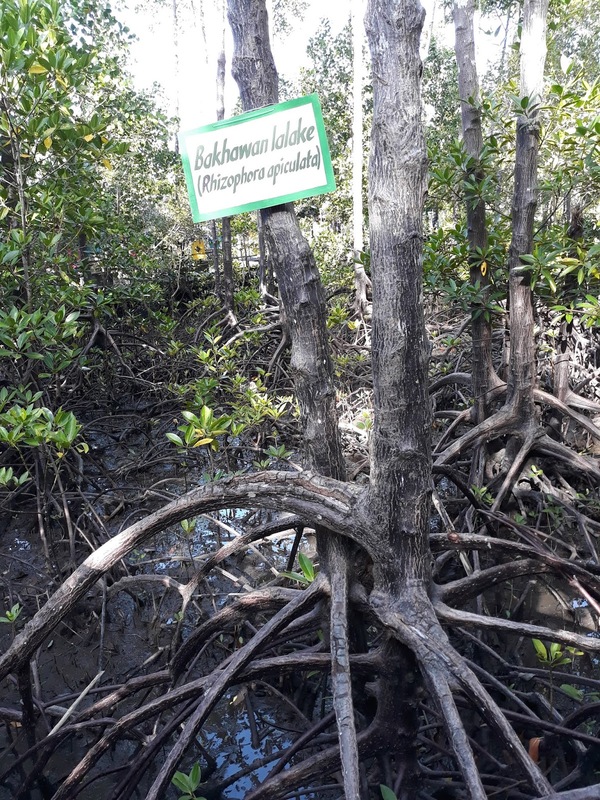 Bakhawan (“bakawan” in Tagalog) is the local term for “mangrove”, a shrub and tree species that thrive along shores and rivers in the tropics and subtropics. Considered as a “tough species” of plants, mangroves can live in water up to 100 times saltier than most of the plants can tolerate! Mangroves might look scary because of their wriggling roots that rise from the mud, but mangroves are “a keystone of coastal ecosystem”. 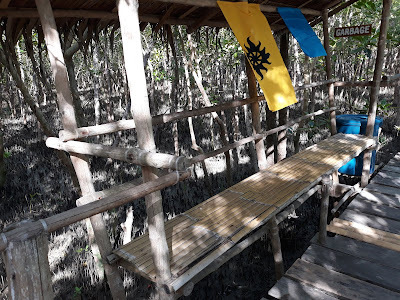 They serve as ideal breeding grounds and habitat for fish, shrimp, crabs, and other shellfish. They ensure a stable coastline by holding the soil in place, thus, preventing erosion. They also protect the lands from wind damage. 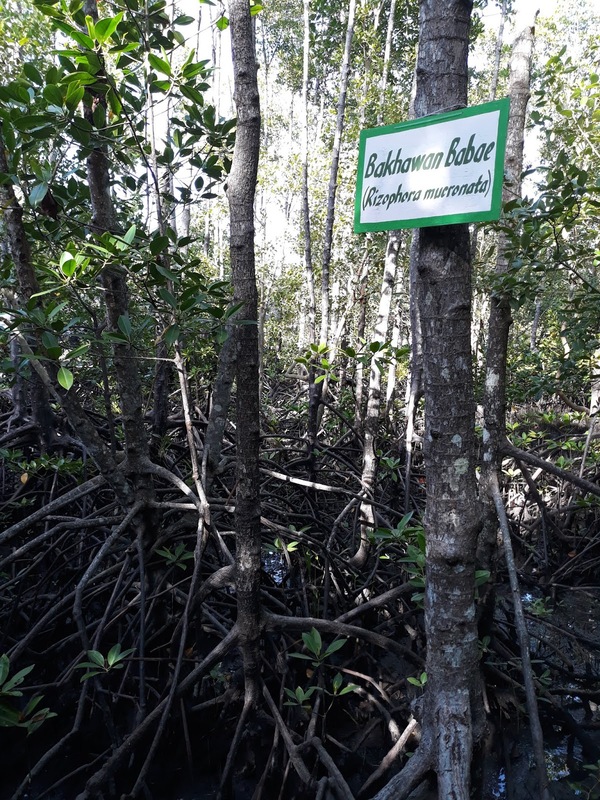 In fact, the Bakhawan Eco-Park was created in 1990 to prevent floods and storm surges during typhoons in the local community. Years later, the successful mangrove reforestation has addressed not only the local community’s flood problem, but it has provided the locals a means of livelihood, as well. No wonder, the project has been hailed as one of the best managed forests in the whole Asia and the Pacific. 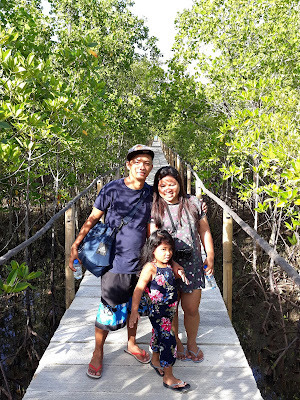 We went to the Bakhawan Eco-Park after our family outing in one of the less expensive resorts in New Washington last May 28. We hired a tricycle from the resort going to the place, but the tricycle did not initially know where the place was. Good thing, we were able to ask other drivers on how to get there. The entrance fee for non-locals and foreigners was Php 100. But we paid the Aklanons rate of Php 50. My four-year old niece enjoyed the 1.3-kilometer walk deep down the forest because she saw little crabs of various colors climbing out of the tiny holes on the soil! She was also happy to see Christian, a parrot, and John Lloyed, a monkey, inside the eco-park! The place is perfect for photoshoots and select events. It has a camping site, too, where family and friends can set up tents and stay overnight. Bamboo benches are available at certain stops, where one can rest before completing the whole trail. Bamboo benches where one can rest. At the end of the trail is a view of the sand bar and the sea, where one can also delight in the scene of a romantic sunset. It’s not surprising that most tourists visit the eco-park late in the afternoon. The relaxing view at the end of the trail. In the next 6 months or so, Boracay will still be closed for visitors. 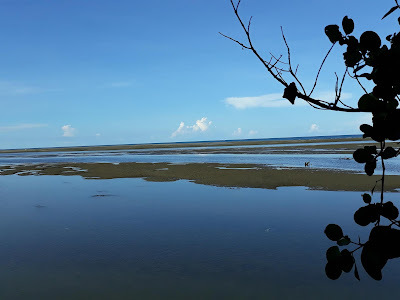 But those who want to visit Aklan can still do so as there are still destinations in the province and the nearby provinces of Panay that are worth-exploring. The local government, however, needs to ensure that these places are well-promoted, especially among the locals. Gala pa more! My sister, my brother-in-law, and my niece!